Are you on a mission to conquer the world of e-commerce and show that you are well worth the first page ranking in Google search? Great! But please do not go in that battle unarmed. 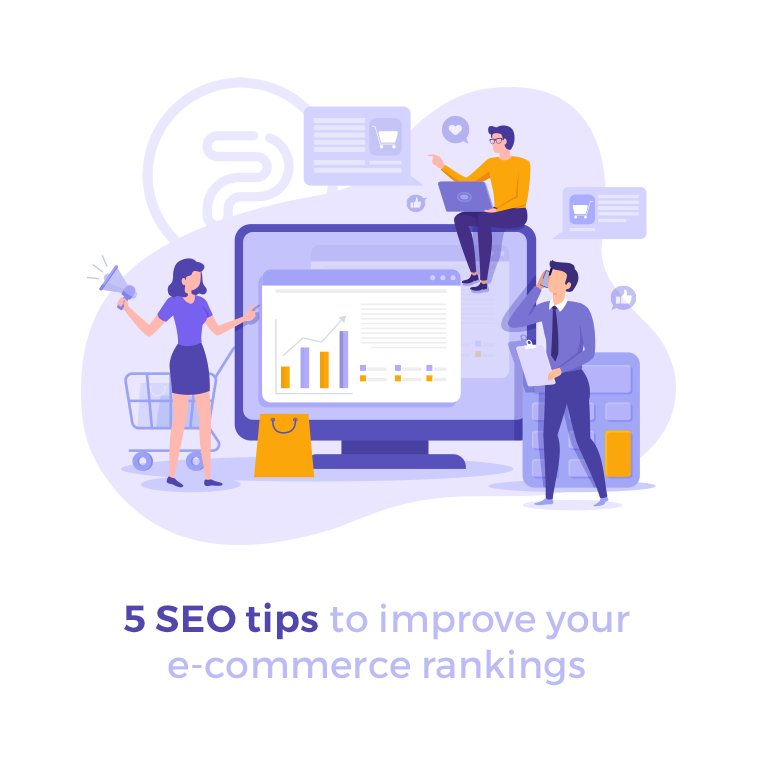 Let us empower you with the knowledge of the best-performing e-commerce SEO techniques that you can use to level up your search rankings in 2019. Are you with us? 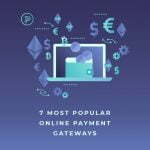 The world of e-commerce is getting more and more crowded, the competition is becoming stronger than ever before, and the stakes are rising. Online shops are facing a big challenge while trying to take their fair share of the online sales market. And quite a market it is! In 2018, the revenue from e-commerce in the U.S. reached 500 billion dollars, and Statista’s results show that the online sales of physical goods is projected to surpass 735 billion dollars by 2023. Amazon may still be the biggest player out there, but the vast majority of product searches still comes from Google search queries. So, the question is – does your web shop appear on top of the Google result pages? Do you want it to rank higher, but not sure which SEO tactics should you use to accomplish that? Perhaps you have been struggling with your brand new website to make a breakthrough in rankings? Or, maybe, getting tired of not hitting the desired results with your old site? 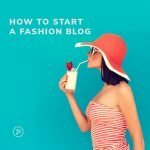 Here, we will walk you through some valuable SEO tips for growing the organic visits to your online store, so let us begin. Always have in mind that a product page is usually the landing page of an e-commerce website. Of course, the well-known rule applies here as well – every page on your website could be the first page that your users see. So, theoretically, every page could potentially be an equally important page for your site. In practice, however, your product page is usually the first thing someone will see after they click through your ad or the link in SERP. Follow the web accessibility guidelines about color contrast, font readability, CTA button size, non-confusing paths, etc. The more details you provide about your products, the better. It means you should consider adding available colors, sizes, and other variations, bringing up the possibility of product comparison, and being transparent about prices and shipping costs. If you have similar descriptions for several products, or perhaps only a copied version of the manufacturers’ specifications without any original copy, we strongly suggest that you change that as soon as possible. Otherwise, Google might recognize it as duplicate content and penalize your pages. It is very important to write unique content for your web pages and your product descriptions. Also, always tend to have high-quality professional photographs of your products from different angles. Depending on the type of products you sell, you should consider including videos and/or 360-degree views as well. You should optimize photos for search engines by resizing them and adding Alt text, and provide subtitles for video recordings. 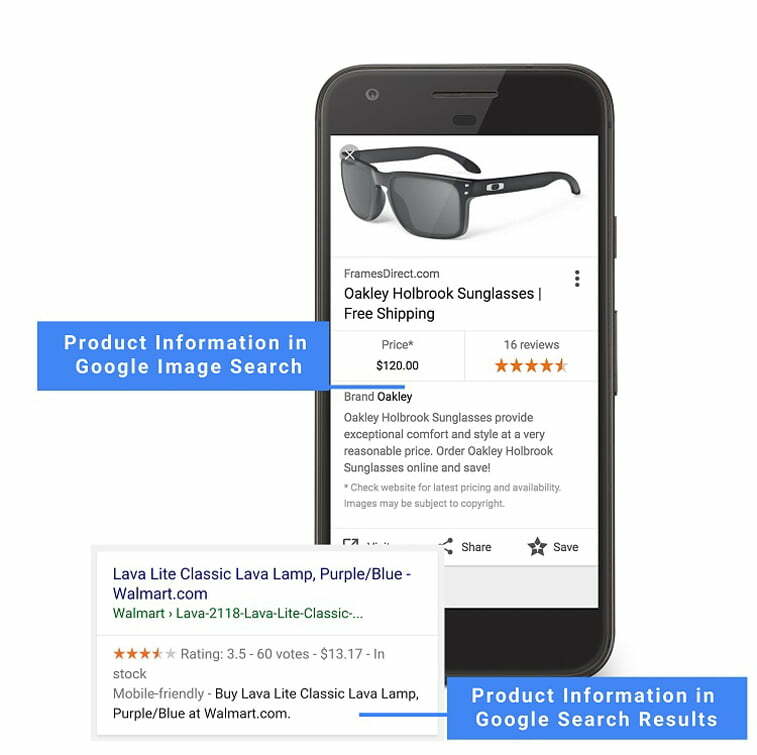 Additionally, if you want your product pages to be recognized properly by search engines, and maybe even brought up to the top of the search query results, consider applying the GS1 SmartSearch standard as well. It can be useful for contextualizing your product data in an algorithm-friendly way and making it easily readable for search engines. 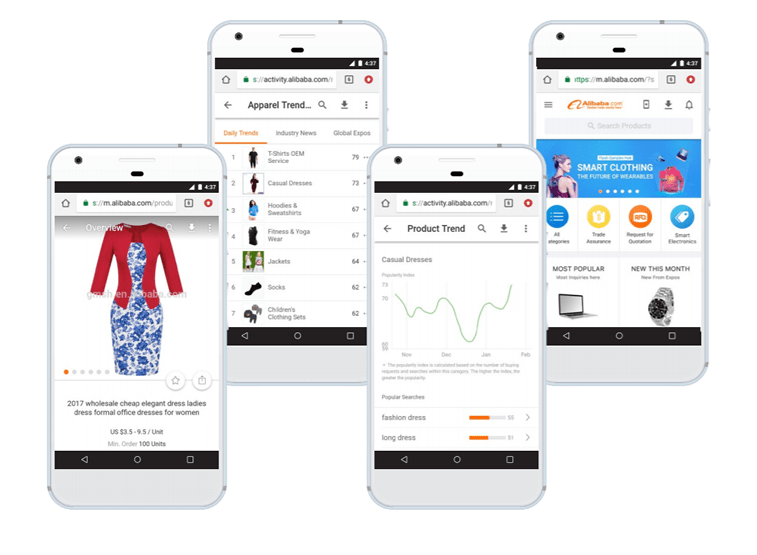 Structured data and the Schema markup for your e-commerce is one of the most important things for your online store. If you provide a complete set of data, search engine crawlers are going to be able to learn everything they need to know about your brand and your products. It might even be a reason for your products to appear in the Google with e-commerce rich snippets. Also, rich snippets are known to be especially effective for e-commerce product links because consumers are viusally sensitive while shopping online. So, neat and complete structured data is something that can help you with rising potential for getting rich snippets in search results. So, structured data definitely is something that you want to pay attention for the sake of the meaningful SEO outcome. Note: There is no guarantee that your page will appear in search results with rich information. As Google officially claims, its algorithm tailors search results to create what it thinks is the best search experience for a user, depending on many variables, including search history, location, and device type. Here are some of the statistics you should bear in mind. Pew Research Center conducted a survey of U.S. adults in 2016, and the results were these – 79% of Americans had made an online purchase of any type, while 51% had bought something using a cellphone. 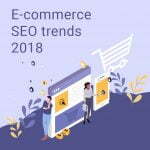 Our research for the E-commerce SEO trends in 2018 has shown that mobile search is taking over the throne with billions of people already use laptops, smartphones, and tablets more often than desktop computers. Many of them have grown a habit of purchasing online on a regular basis. As of Q4 2018, mobile devices are now the number one driver of both digital traffic and orders, shows the Salesforce Shopping Index. This makes mobile the most important revenue-driving vehicle for retailers as they explore ways to engage and convert their new and existing customers. It is no longer a question of whether your web design should be responsive or not. Responsiveness is a must-have nowadays. It contributes to the smooth and elegant user experience, no matter what device your visitors use to come to your site. Now, let us make a step forward. You may have heard before that progressive web apps (PWAs) are the future of mobile web. It’s true. More and more websites are turning into progressive web applications in order to provide their users with a bespoke experience on their mobile devices, both online and offline. PWAs use a combination of tools and web technologies, such as different scripts, the application shell, and API to provide quick download, offline usage, simplified re-engagement of old users, and much more. This kind of web apps are instantly loading, constantly updating, providing possibility of push notifications, and they work perfectly in conditions of poor internet connection and even offline. The complete earnings will go to you (which is not the case if you have a mobile app you charge). Furthermore, the native app development might be very expensive, so you can actually save a lot by transferring to PWA. It could be a win-win situation for you and your customers, while also winning over the optimization for search engines. If the purpose of your website is online sales, your mission should be to create a bespoke user experience, and guide your users smoothly through every step of their way – from the moment they enter the site to the search process, filters, product descriptions, popular and related products, wishing list, shopping cart, prices, checkout form, choosing a payment method (extra tip: do not overwhelm users with too many options to choose from), implementing promotional codes, and finalizing the purchase. Along the way, writing copy and microcopy should be of the utmost importance to you, in order to put the right information in the right place, at the right time. That is why you should pay additional attention to words you choose for your CTA buttons, sign up forms, promotional pop-up windows, banners, checkout page, etc. Remember, every word counts. Your copy should be conversational, but not filled with jargon. All of the materials you put online should be clear, understandable, and rich in value for users. Okay, and why is all this important for SEO? The answer is simple. Google and other search engines will understand that you are continuously providing an excellent user experience and that users are returning to your website, so they will start pushing your site up in the rankings. Since the concepts of user intent and buyer’s journey became more significant for the search query results, and Google announced the shift from answers to search journeys to help users resume their tasks and make information more accessible for people, your SEO tactics should become more user-centric as well. This is definitely something that Google is going to grow and advance in 2019 and years to come. Let us get back to the question from the beginning – how to create a meaningful SEO strategy that will lift your web shop up in SERPs? Now with all this said and done, we get to the bottom line. If you want your e-commerce website to rank higher in search results in 2019, do your best to impress your customers and provide them with the extraordinary online shopping experience. The next thing to do is to impress crawlers by providing the highest quality of website performance, implementing structured data, detailed product descriptions, and professionally optimized textual and visual content on your e-commerce pages. By providing people with what they need and then even exceeding their expectations, you build a foundation of trust and a base of loyal customers. Having recurring users over and over again is usually a clear signal for Google to boost up your rankings because people trust you and keep coming back for yet another purchase on your website. If you want your online business to thrive in the world of e-commerce and improve your search rankings, we might be the right kind of a partner for you. We are recognized as one of the top e-commerce SEO and marketing companies on DesignRush, so you might want to consider consulting with our SEO experts before starting your project. We can help you to create and execute a detailed search engine optimization strategy, starting from a free analysis of your website. Excellent examples of website redesign concepts - 22. April 2019. Amazing world of graphic journalism by Wendy MacNaughton - 15. April 2019. 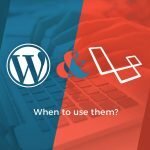 WordPress vs. Squarespace: Which platform to choose - 4. April 2019.